Naturally, as people, we all want to feel included. Unfortunately for most of us, we don’t always feel this way. As a dancer, I’ve found the dance world to be highly political and favoritism to be expected, somewhat mirroring what mainstream media and pop culture tells us (like the show Dance Moms!). 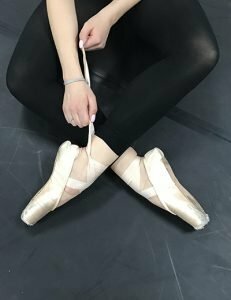 This is why it has always been much more common for me to feel excluded rather than included throughout my years in dance, and why I was so nervous back in September when I joined a new studio. What did they do that was so different from other studios? Did I do anything different to warrant their responses? This is when I realized that inclusion or exclusion doesn’t happen on its own. Groups themselves are responsible for establishing and maintaining this type of culture. Psychologist Abraham Maslow described this in his theory of motivation as the need for Love and Belonging, which is most definitely a two way street. While we may all want to be included by our peers, we also have to put in the conscious effort to be involved. A smile goes a long way. I could say so much about a simple smile, but ultimately I think ‘mirror neurons’ sum it up. These neurons are basically what allow us to experience empathy. If someone is sad then we feel sad, if someone is mad then we can get mad too, and if someone smiles then, more often than not, we will return that smile and feel closer because of it. Introduce newcomers to the whole group. The first company class I took with SNB my teacher, Ms. Rosine, took a moment at the beginning of class to introduce me. The other students in that class waved or smiled and then I took my place at the barre. This small action really helped me to feel comfortable joining the group. Names are so important and most people are very particular about their own, from spelling to pronunciation. Within my first week, I made sure that I could call everyone by their name. It makes people feel important! Acknowledge previous experience, but always offer help. I’ve noticed that some dancers will assume they are better than others. At SNB, I was immediately placed in the apprenticeship program even though some students work for years to get there. Ms. Rosine and the company acknowledged my prior dance experience which gave me the confidence to dance among the company members, but they were also always willing to help me. If someone saw that I looked lost or noticed that I wasn’t doing something correctly, they would offer tips and feedback. Treat all group members equally. In a ballet class, hierarchy exists but is productive if used effectively. When we go “across the floor” the company members go first, then apprentices (me), then trainees, and then students. This hierarchy allows less experienced dancers to model the more experienced ones. Even in this hierarchical setting, Ms. Rosine does not treat any of us differently than the next. She is just as strict, yet understanding, with each and every one of us. Provide encouragement and constructive feedback. Ms. Rosine is always giving technical corrections and feedback. She works with each one of us individually to understand our strengths and opportunities for growth. When she notices that we have improved, especially on something that she has given us corrections on, she tells us. Those compliments are not necessarily hard to come by, but she definitely doesn’t say them unless she means them! Not only does Ms. Rosine give positive constructive feedback, but the students in the class will as well. It doesn’t matter who it is or what they’ve done, but if the class notices an improvement we let them know by clapping. It is very flattering and absolutely makes me blush every time, but it also reminds me that I’ve done something well. Find ways to connect with others. 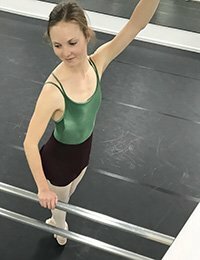 There isn’t usually much talking during a ballet class, but I always stay for just a few minutes after class to pack up and catch up with other dancers. I ask questions, whether it be about class or otherwise, and my interest usually spurs a conversation. All it takes is one conversation to spark a great friendship! 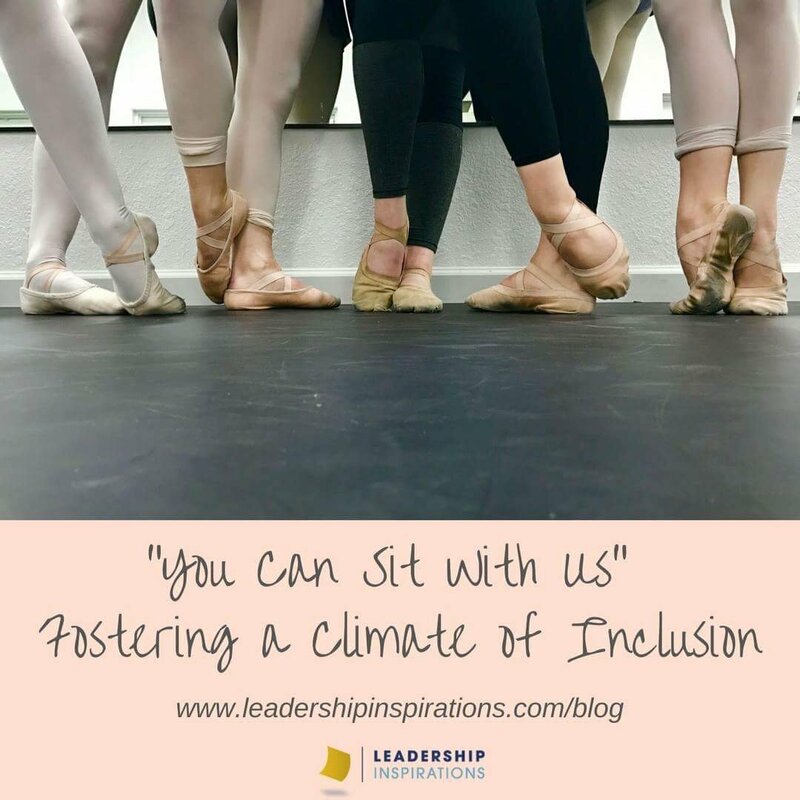 All of these actions, big or small, contributed to the strong sense of community and belonging at Sierra Nevada Ballet. Now, I feel like I am part of a dance family where they love me when I’m at my best and lift me up when I’m at my worst. I am beyond grateful for the inspiring experience that I’ve had with this company and their inclusive environment makes dance something I always look forward to. We can use Maslow’s Hierarchy of Needs to understand underlying motivations of group members. Then, we can address those motivation needs so that everyone can contribute their greatest potential. 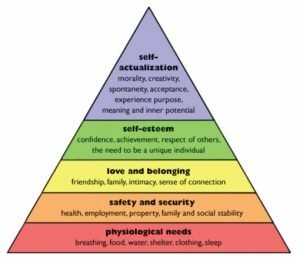 Reminder: One must move up the pyramid one level at a time, meeting the needs at each level before they can move on towards self-actualization. Determine where each member of your group is currently on the pyramid. Using the pyramid as a framework, what does each member of your team need in order to be more successful or effective in their position? What can you/your core team/their peers offer (think of your strengths/resources etc.) to help motivate them to reach their full potential (self-actualization)? Come up with a feasible plan to lift your team members up! By helping to address your group’s needs, you are able to bring them closer together and better motivate them to reach their goals!